With so many options, getting to Schanze Nozawa is a breeze and an adventure in itself! We try to make it easy for you to make your trip here to visit us and we have included many resources here you can use to plan your route. If you are planning on using the train, please keep in mind that the train routes presented here are only suggestions and depending on your time of arrival, there usually is more than one way to get here. 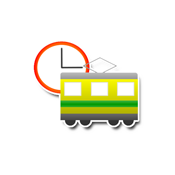 Some train lines like the JR Yamanote can get very full depending on the time of day and should be avoided. Also when planning to get here by train, please ensure that your destination train station is Iiyama Station and not Nozawa Station, which is over 600km away from us. If you book your room through this website, we will pick you up at Iiyama Station. Note: To schedule your pick up, please email us your train schedule at least 2 days before arrival. Pick up is available daily from 3pm to 8pm. Once you get to Iiyama Station, you can take the Nozawaonsen Liner, a bus service which takes you to Chuo Terminal in Nozawaonsen. The departure schedule for the buses are timed to coincide with the arrival of the trains and you will usually have about 5 to 20 minutes to disembark from the train and make your way to the bus. You can get the most updated Nozawaonsen Liner bus schedule here. Once at Chuo Terminal, you can take the free shuttle bus and alight at the P-3 Parking stop and from there it is a 2 minute walk to us. We pick you up here if you book directly from this website. will drop you off here. 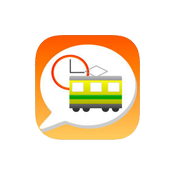 For planning your train route, an indispensable tool is HyperDia, the website that helps you plan train travel in Japan. Please visit the HyperDia website or download the app (available for iOS and Android). Please note that the apps will require an internet connection to work and they might also charge a small fee (around 3 USD). Watch this video to find out how to use HyperDia to plan your train trips. Note: If you are using JR Pass, make sure you uncheck the option for NOZOMI / MIZUHO / HAYABUSA (SHINKANSEN) as it is not covered by the JR Pass. For guides on how to get to us, please select your starting point. Please remember to activate your JR Pass if you have one at the JR Pass office. NOTE: Please ensure you pick Iiyama Station as your destination and NOT Nozawa Station (which is 6 hours away from Nozawa Onsen). The Nagano Snow Shuttle will transport you from Narita Airport Terminal 2 to Nozawa Onsen Chuo Terminal (Trip time is about 5 hours and 45 minutes). From there it is just a short 15 minute walk to Schanze Nozawa. For the most updated information please visit their website. 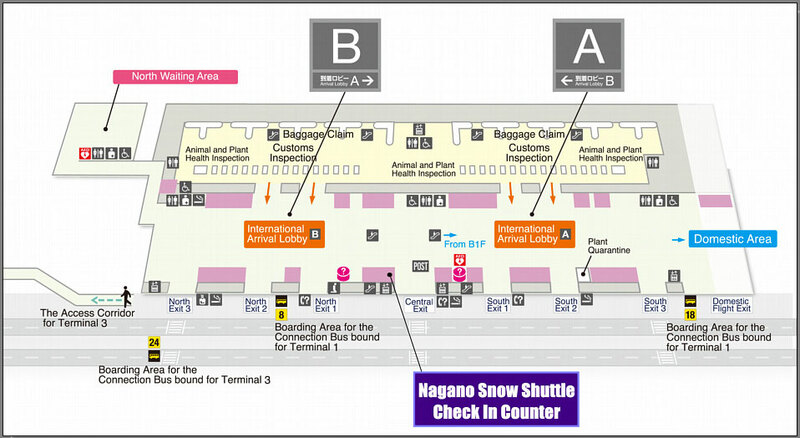 All passengers must check in at the Nagano Snow Shuttle counter in terminal 2. Once everyone has assembled the guide will lead passengers to the bus. All luggage must have destination tags attached. Tags will be given out by the staff at check in. Only luggage with tags will be loaded onto the bus. 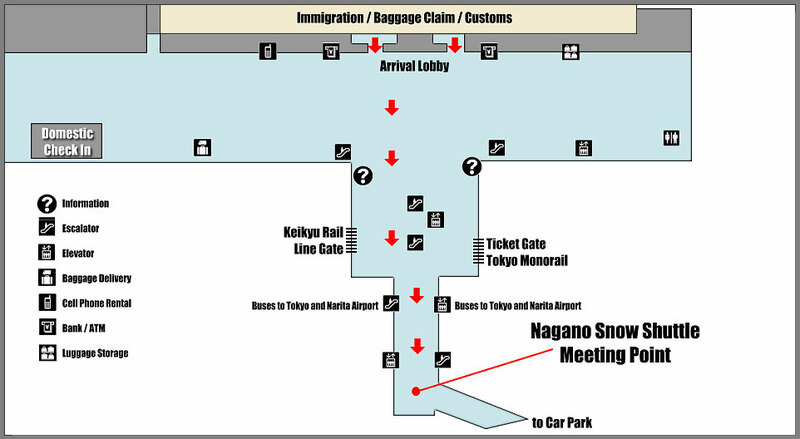 The Nagano Snow Shuttle check-in counter opens 1 hours before each departure and closes 15 minutes prior to departure. Passengers arriving on Jetstar, Vanilla Air, Jeju Air, or Spring Air will arrive at terminal 3. It is a 15-minute walk along the access corridor from terminal 3 to terminal 2. There is also a free shuttle bus between terminal 3 and terminal 2, but in many cases, it is quicker to walk. Passengers arriving at terminal 1 will need to take the Terminal Shuttle Bus to terminal 2. This bus leaves every 7-10 minutes from Bus Stop # 6 at terminal 1. Chuo Taxi is a convenient door-to-door service, bringing guests from Narita/Haneda Airport, regardless of flight arrival time, directly to our doorstep. Details and reservation available on their website. The Nagano Snow Shuttle will transport you from Haneda International Terminal to Nozawa Onsen Chuo Terminal (Trip time is about 5 hours and 15 minutes). 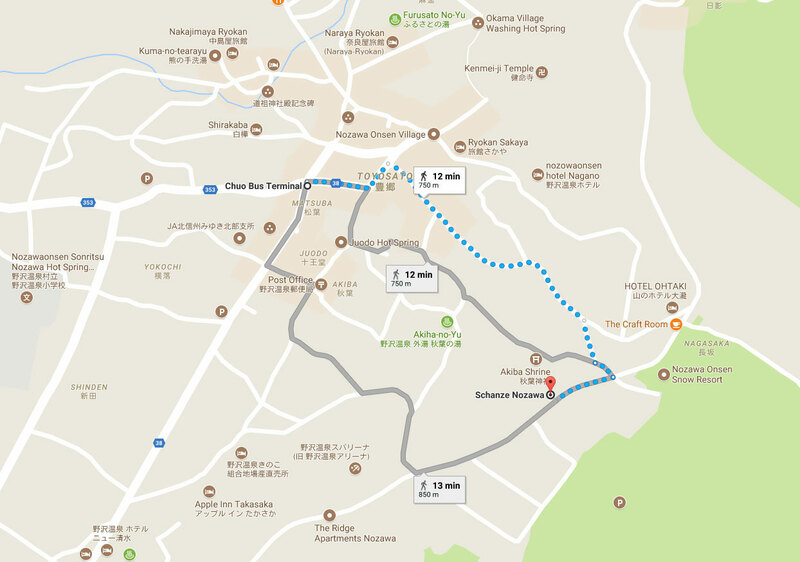 From there it is just a short 15 minute walk to Schanze Nozawa. All passengers must check in at the meeting point in the International Terminal. There is no pick up from the domestic terminal. Check-in closes 15 minutes before departure. All luggage must have destination tags attached. Tags will be given out by the staff at check-in. Only luggage with tags will be loaded onto the bus. Nagano Snow Shuttle staff will be at the meeting point 1 hour before departure. Check in closes 15 minutes before departure. Staff will be wearing a purple jacket and carrying a Nagano Snow Shuttle sign. Passengers arriving on domestic flights will need to take the free shuttle bus from terminal 1 or 2 to the international terminal. These buses run every 6 minutes. At terminal 1 use bus stop # 8 on the first floor. At terminal 2 use bus stop #9 also on the first floor. 3. If coming back to Haneda Airport Tokyo, then please use the Keikyu Line or Tokyo Monorail line and get off at the International Terminal. Kansai Airport (KIX) is located in Osaka Bay on an artificial island. It replaced Osaka International Airport (ITM) for handling international flights. Osaka International Airport now only handles domestic flights.